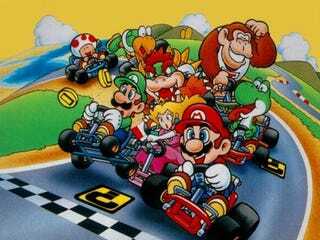 Super Mario Kart has the longest legacy and the biggest impact on video games in history, according to Guinness World Records which compiled a list of the top 50 consoles games of all time. Tasked with selecting the best console games of all time, contributors of this year's Gamer's Edition reviewed hundreds of releases to compile a list of the top 50 titles ranked on their initial impact and lasting legacy. Tetris ranks in at number two, according to the list, and the original Grand Theft Auto is in the number three spot. Where does Super Mario Bros. turn up? Way down at number 17, beneath Grand Theft Auto: San Andreas. Guinness World Records Editor-in-Chief, Craig Glenday, said of the selection process: "We knew this would be a complex task so we invited a crack team of industry experts to form a judging panel - and the result is a "top 50" list of games ranked both on their importance and on how fun they are to play." I would love to know who was on their team, because their picks are just friggin insane. The team said they picked Super Mario Kart for the top spot because it is the best-selling racer on the SNES, the GameCube and the DS. Tetris, a good choice for number two, was selected because it is available on at least 50 different gaming platforms. And Grand Theft Auto holds the record for the most controversial series of games. The full list, shown here, appear in the newly-released Guinness World Records 2009 Gamer's Edition. Look over that list and then tell us what your top ten picks would have been. Keep in mind this is being judged on a game's initial impact and lasting legacy, not necessarily how fun they were.